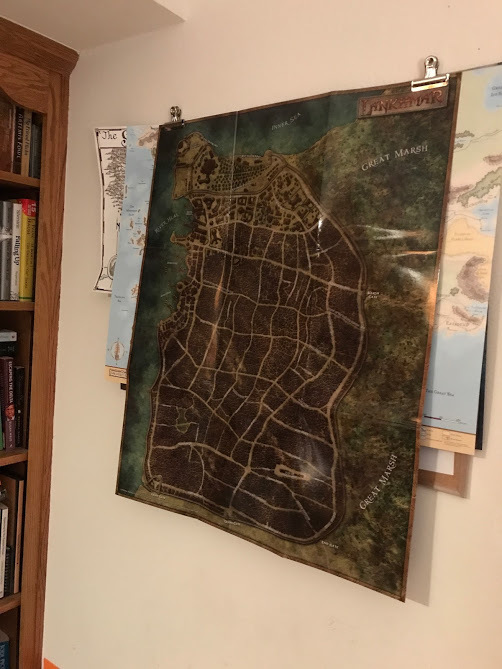 When I received my Lankhmar box set I couldn’t wait to jump into some adventures in Nehwon. 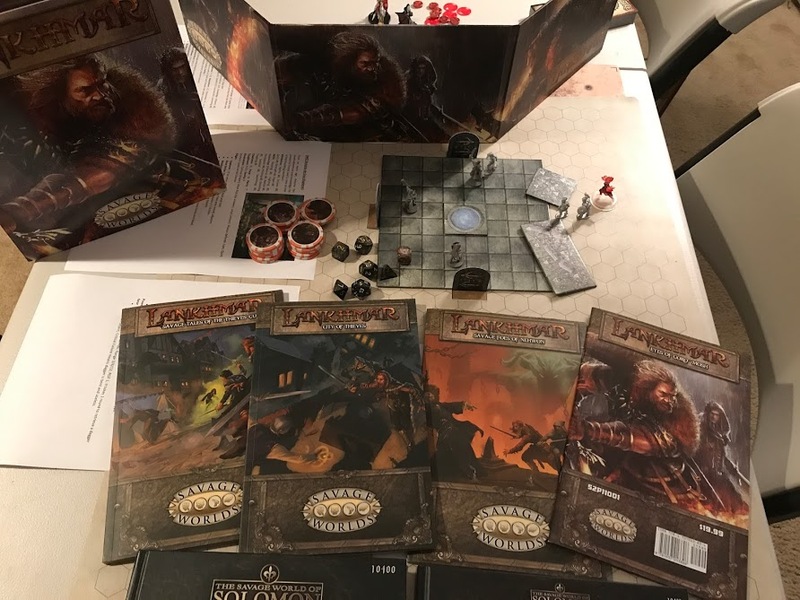 Pinnacle did a great job with this line of products and I was most pleasantly surprised by how quickly I received it and the great packaging of the dice, maps, Bennies, and books! I wish they would do this with all of their product lines. As I read through the material, I couldn’t wait to jump into an adventure. I also noticed immediately that the magic and how it’s treated in Lankhmar is very similar to the Solomon Kane setting – another superb product from Pinnacle. I threw out the idea of running an adventure using the random adventure generator in “Savage Foes of Nehwon” just to see what adventure it generated. The results were a mysterious patron hires the adventurers to go and retrieve a magic item. 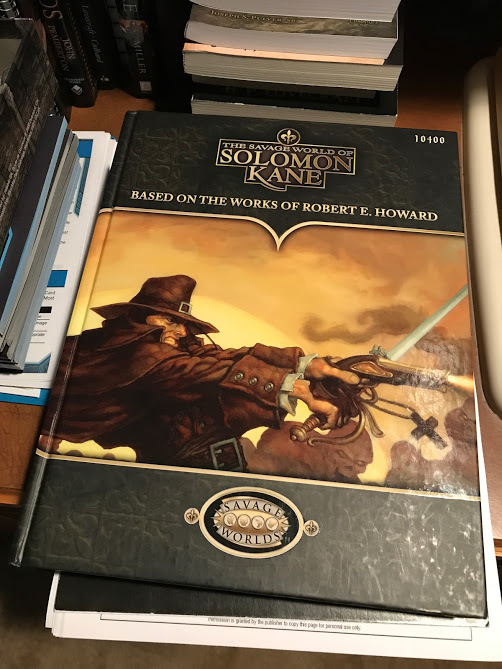 As our group talked about running an adventure in Lankhmar for our session on Sunday, we also discussed the books by Leiber and the Conan and Solomon Kane books by Howard. Then someone mentioned that having blackpowder weapons would be pretty cool. So, we threw together a rather strange adventure party. The two conquistadors were generated using the Solomon Kane rule book. One is a lesser noble who was the leader of the explorers and the other one is his closest friend. The two men were displaced from their universe but met up with Wrantin and Shi-La in Lankhmar. This is their first adventure together, but we might shuffle the characters around a bit as we go. It’s always fun to use a stable of characters who go on adventures with each other at various times and can be rotated in and out for flavor. Fafrhd and Gray Mouser stats are included and we are definitely going to be adventuring with those guys! I chose to recycle an older adventure I randomly generated for both Savage Worlds and D&D 5e. In the adventure, a Death Knight has possession of the sword “Souldrinker” (page 99 of the Fantasy Companion). This sword is the item the group must retrieve. We made it from Lankhmar to the temple and got about halfway through the dungeon on Sunday. 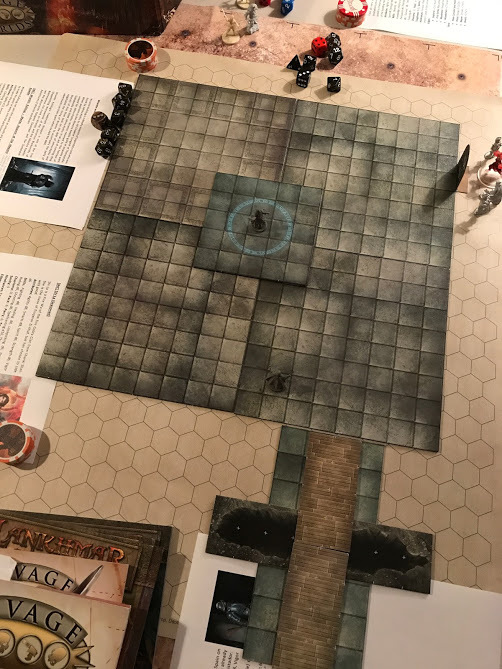 The group wasted no time taking on Pavel, a couple of soldiers, some demons Pavel summoned, as well as his Nightmare. Shi-La summoned a Fire Elemental, too. That’s a lot of people/monsters in one battle, but Savage Worlds is the most fun when there’s that much chaos! (If you look closely at the picture above you’ll see the scene from Rooms 2 & 3 of the dungeon. Below are my sheets for all of the baddies in play.) The group prevailed and secured Souldrinker, but, of course, they wanted to loot the entire dungeon. Below are rooms 14 & 15 of the dungeon with the party outside the door as they plot their entrance. I think that Lankhmar is going to be a great time. 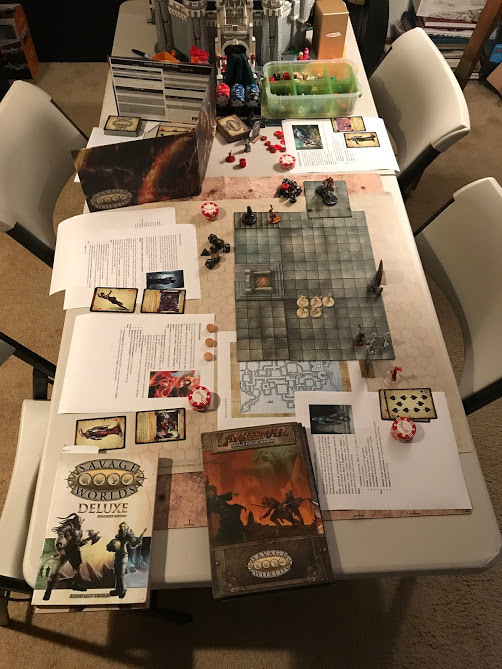 The Plot Point Campaign entitled “Eyes of Goro’mosh” provides some great material and also allows for numerous adventures to be thrown in from the other source books. 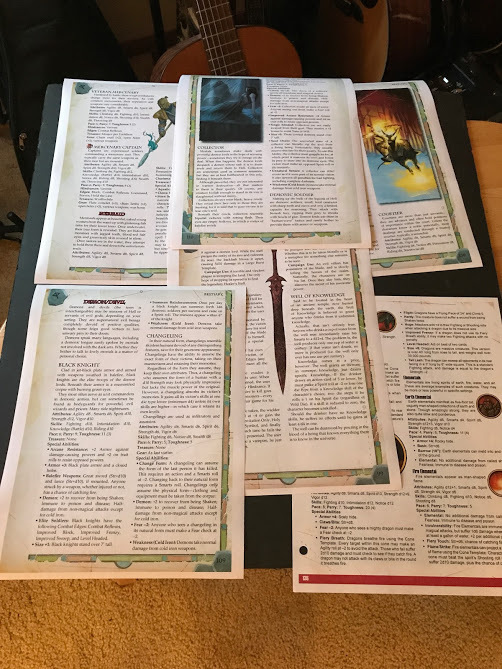 If you wanted to play a long campaign, there’s more than enough material to last you and your group months of entertainment! Oh, and the maps are great, too! I love big maps!